Whether your intervie w is thirty minutes or eight hours, it is your time to prove to your interviewer why you would be the best fit for the job. The following are things to remember. Sell yourself. This is your chance to show your prospective employer why you are the best candidate for the job. The interview should be about showcasing your skills and explaining your past experience with getting results and solving problems. Remain calm. Nerves will creep up on anyone and they are completely normal, but it is important to turn your nerves into a motivator. Being fully prepared before you walk into the interview will take a huge weight off your shoulders and allow you to focus. Listen carefully. It is important to never get ahead of yourself during an interview. With nerves involved, it is likely that you will want to jump at a question that is asked and immediately begin answering. Before you answer any question that is asked, make sure you fully listen to and understand the question asked. Many candidates will start answering a question without really thinking if their answer corresponds to the question. Just a second or two before you answer will help you gather your thoughts and answer accurately. Be enthusiastic. One of the worst interview mistakes is not keeping the interviewer engaged. Even if you are interviewing for a technical, independent position, the interview can and should be dynamic and engaging. It is your job to make sure your answers keep the interviewer engaged and show that you are interested in the position. 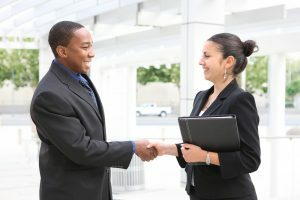 If you give off the impression that you are not excited about the position, it is unlikely that your interviewer will think you are the best fit. Do not ramble. In any situation, rambling is the number one sign that someone does not know the subject matter about what they are talking. You should fully answer each question asked, but answering the question in a concise way shows that you are knowledgeable in the topic and confidant in your answer. Ask questions. Asking questions back to your interviewer shows that you are interested in both the company and position. These questions should be prepared before the interview. Do not ask so many questions that the interviewer feels they have lost control of the interview. Remember that this should demonstrate your interest and provide you a better idea of the company and position.